State Public Safety Secretary José Mariano Beltrame announced yesterday that Rio de Janeiro state’s 2010 homicides, robberies, car thefts and other crimes have hit startling lows— and in some cases set records for the period in which the state has been keeping reliable statistics, since 1991. 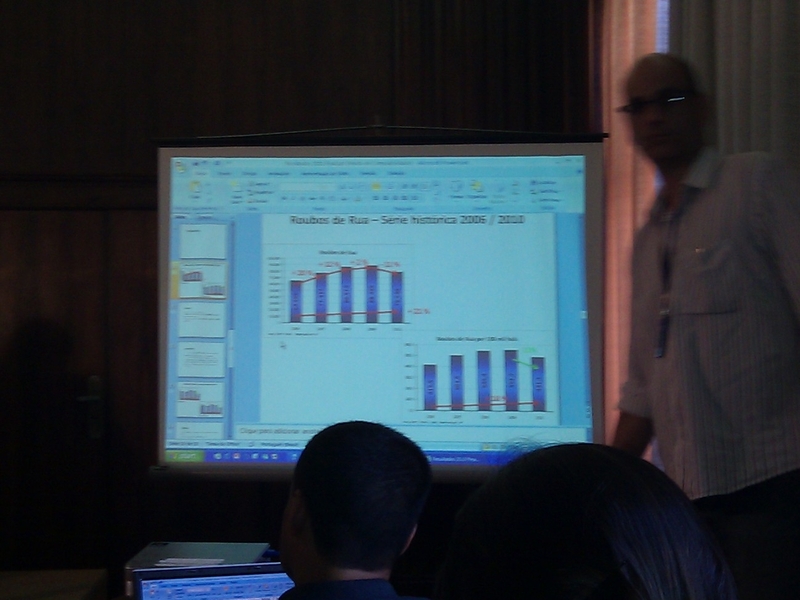 Greater Rio de Janeiro accounts for 75-80% of total state statistics, according to Beltrame’s press office. New York City’s numbers date back to 1963, but U.S. states have been keeping records since the 19th century. Crime statistics are often questioned, as they can be manipulated. But the Brazilian press hasn’t doubted the numbers, which are said to reflect the public safety policy of governor Sérgio Cabral, who took office in 2007 and has just begun a second term. That policy centers on retaking territories– both militarily and in terms of public services– that had been left for decades to the vagaries and violence of drug traffickers. The most striking number announced is the homicide rate, down almost 18% in 2010 from 2009, to a per capita rate of 29.8 per hundred thousand inhabitants. The per capita numbers now reflect the latest census figures; Rio’s population has been growing more slowly than estimated earlier. Governor Cabral announced police pay bonuses today for work well done. Beltrame was quite humble about the results he and Rio’s civil and military police have produced in the state, saying that “the numbers still aren’t excellent”, and that the “percentages will be harder and harder to bring down as the years go by”. New York state’s per capita homicide rate for 2009 is a mere four per hundred thousand people. Other reductions were seen in car theft, street crime, robbery-related murder, and murder at the hands of the police in confrontation. In answer to a reporter’s question, Beltrame said there’s no hard evidence that criminals are fleeing his crackdown in the capital for other areas in the state of Rio– i.e., that crime is merely moving around. But he noted that if anyone is migrating it’s the ringleaders, not the small fry. And the latter are some of the people whose needs state and municipal social programs, as well as private businesses, are focusing on, to keep crime statistics falling. “Indisputably, as other state agencies take action, this influences public safety a great deal,” he noted. RioRealblog asked if Rio is learning from the experiences of other cities such as Medellín, where crime fell and later perked back up. Beltrame didn’t respond directly, but indicated that the state is constantly monitoring its policy strategy and execution, adapting according to circumstances. Interestingly, he mentioned not only the city’s 14 much-praised UPPs, or police pacification units, as a key strategic component of public safety policy, but its Integrated Safety Regions, which have gotten much less press. These were created in late 2009 as a means of coordination between Rio’s civil and military police, on a regional basis. Traditionally, the civil police did investigative office work and the military did the street work, but the division of labor evolved into competing often cross-purposed fiefdoms. Now the regions have goals to achieve, and responsibilities are clearer than before. The civil police also created, last March, seven DEDICs, or departments of police stations dedicated to citizen service. According to this post on the Globo newspaper site, the program’s distinguishing features are a change in work schedules such that officers work normal hours (instead of 24-hour shifts followed by 72 hours off during which many officers hold second jobs in private security, providing ample opportunity for corruption as well as interrupting investigative continuity); and home visits to crime victims, set up via the Internet, to complete paperwork. 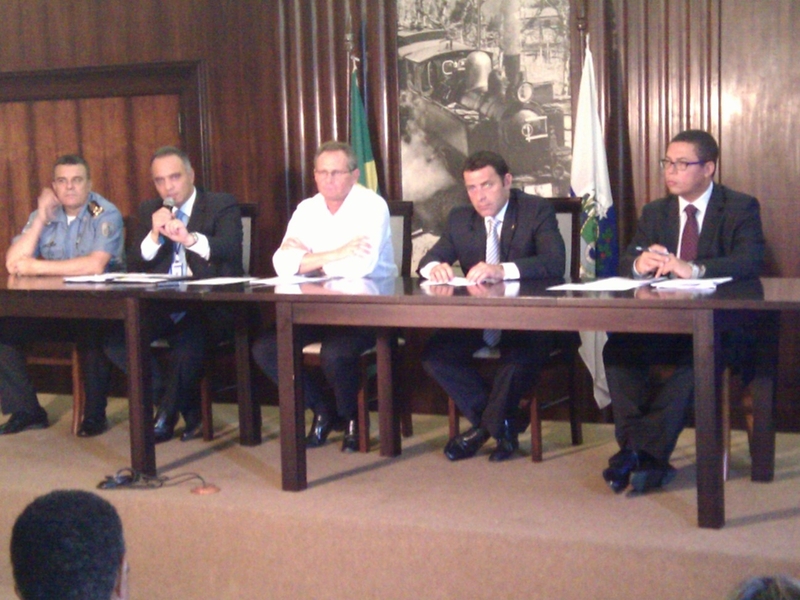 This entry was posted in Brazil, Transformation of Rio de Janeiro / Transformação do Rio de Janeiro and tagged Colonel Mário Sérgio Duarte, crime statistics Rio de Janeiro, homicide rate Rio de Janeiro, José Mariano Beltrame, military police, pacification Rio de Janeiro, public safety Rio de Janeiro, Rio de Janeiro crime, Sérgio Cabral, UPP. Bookmark the permalink.